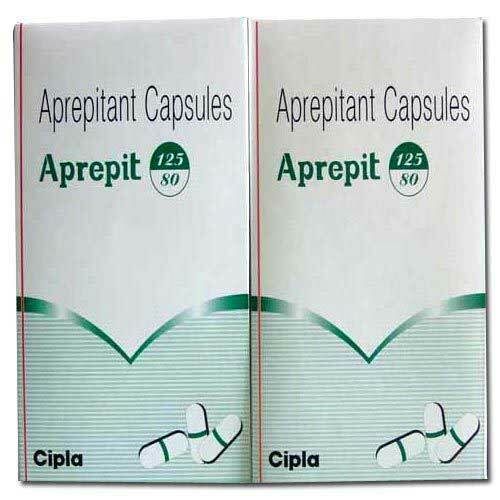 Aprepit contains Aprepitant Capsules which belongs to a class of medications called Antiemetics. Aprepit is also indicated for the prevention of acute and delayed nausea and vomiting associated with initial and repeat courses of highly emetogenic cancer chemotherapy including high-dose cisplatin. Aprepit in combination with other antiemetic agents is indicated to prevent nausea and vomiting caused by cancer chemotherapy treatment. Note :- Aprepit is a prescription drug and should be used under proper medical guidance and advice. Do not share the medicine with others, since they may be suffering from a problem that is not effectively treated by this drug.